As a journalist, I basically ask people questions for a living. So it's always interesting when I end up on the other side of the process. 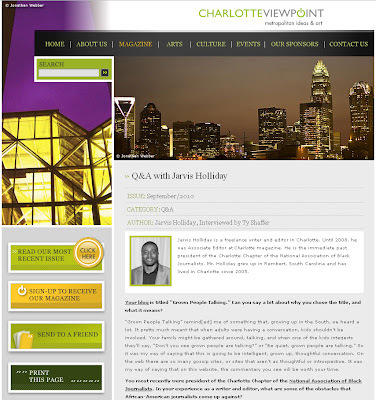 I was recently interviewed for the September issue of Charlotte ViewPoint, and I was honored that the web-based magazine that has built a reputation for its thought-provoking articles and columns would be interested in what I have to say. 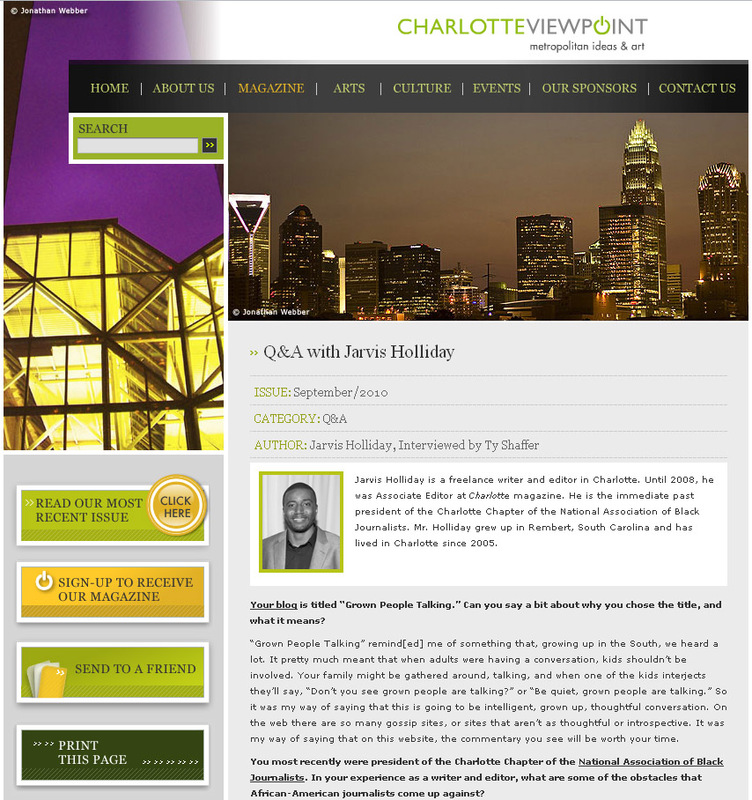 Click here to read "Q&A with Jarvis Holliday" and get my thoughts on blogging, being a black journalist, and why I think news is losing its perspective.